Winter holiday celebrations worldwide overflow with taste-tantalizing delicacies and multi-course meals. They also mean the arrival of guests bringing not only good cheer, but also side dishes, pets and bouquets of flowers. 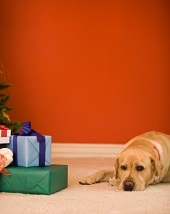 Add a live Christmas tree to the festivities and you have the right ingredients for a perfect allergy storm. So, what’s a host or hostess to do? The answer is to ask guests ahead of time if they have any known food, pet and airborne allergies and to share that information to help minimize the risks to all guests. Food allergies are nothing to trifle with. The federal Centers for Disease Control and Prevention (CDC), in a report released in 2013, noted that food allergies among children increased 50 percent between 1997 and 2011. The Annals of Allergy, Asthma & Immunology estimates that the cost of children’s food allergies is about $25 billion each year. A mere eight foods, a number of them common foods or else ingredients in foods served at holiday time, account for 90 percent of all food-allergy reactions. According to the CDC, the illustrious list includes milk, eggs, peanuts, tree nuts (walnuts, almonds, cashews, pistachios and pecans), wheat, soy, fish and shellfish. Think about the trees. 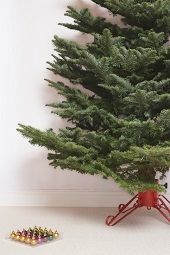 If you choose to have a live evergreen, the American Christmas Tree Association suggests that you limit the length of time that your tree is in your home, because its needles are a welcome mat for mold spores to attach and grow. Most Christmas trees are harvested long before the holidays and are stored in a moist place, allowing mold spores to gather. A good practice to reduce allergies from airborne mold from trees is to wipe down your tree with a 10 percent bleach-to-water mixture, and then let it dry before bringing it indoors. Or, use a leaf blower to remove any pollen, dust or mold from the needles. Think about the pets. It’s pet dander (as well as saliva, urine and sweat) that can affect people. If guests are intent on bringing Fluffy or Fido to your home, diplomatically ask them to make sure to give their pet a shampoo bath ahead of time, and ask them to refrain from letting their pet lick the guests. Let them know that there may be a room or basement where their pet can stay if any of the guests are allergic to dander. 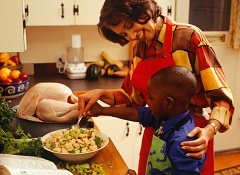 Ask your guests about food allergies and restrictions, either ahead of time or at the dinner table, or both. Also, ask your guests who brought food dishes if they contain any of the foods or ingredients mentioned by the other guests who have food allergies or restrictions. Do this even if you suspect there is only a smidgen of nuts, milk, eggs or other food to be wary about in the dish. Explain that some guests may be anywhere from mildly to more seriously allergic. Also, segregate peanuts and other nut-related products to their own area if anyone is highly allergic to such foods. Got kids with allergies? Information is key. Most school-aged children know what foods they are allergic to. For youngsters who are pre-school age or younger, ask parents to monitor what their children put on their plates.